In a mixing glass add the bitters, lemon juice, simple syrup, Torres Orange Liqueur, and strawberries, then proceed to muddle all ingredients. Add mint, then shake all ingredients with ice. 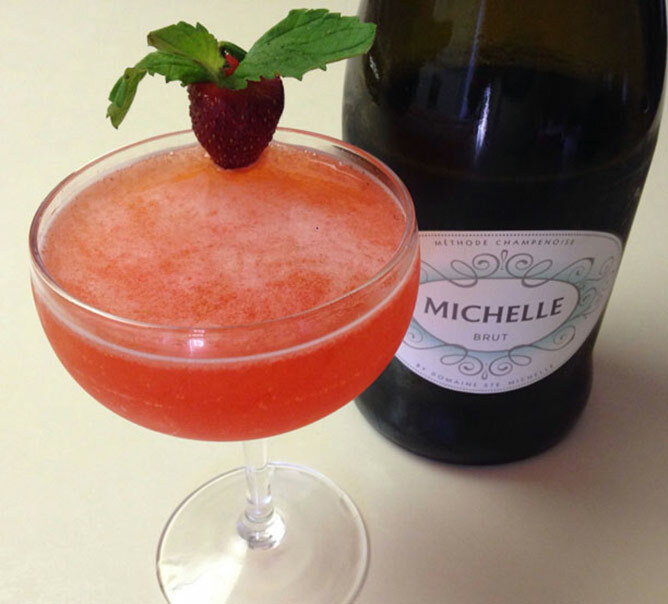 Double strain the above ingredients over 3 ounces of Michelle Brut that has been pre poured into a chilled coupe. Garnish with the strawberry mint crown.